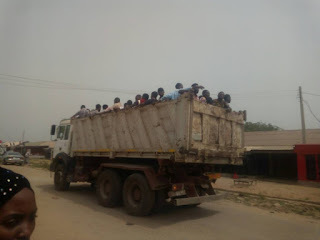 FUNAAB STAFF HAVING VEHICLES SHOULD KINDLY HELP TOO. This is one of the challenges students staying OFFCAMPUS are facing right now! It is Exam Period yet the cabs available are not enough to convey the Calvary of students struggling to come on campus daily due to the fuel Scarcity. 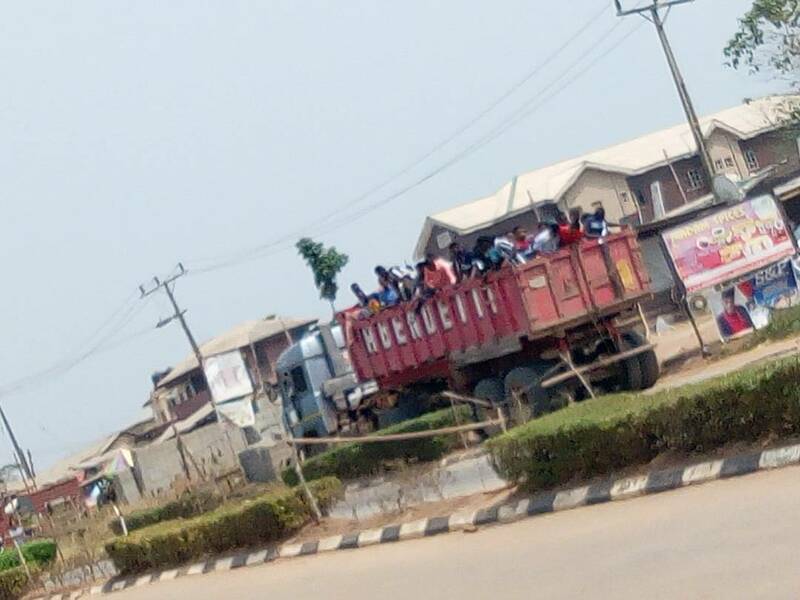 We currently are pleading with the Funaab Members of staff having vehicles to please help at least a student from different OFFCAMPUS bus stops down to school. Special thanks to the QUARRY TRAILERS for stretching a helping hand towards the students. Please students should kindly respect STAFF that are willing to assist them down to school..
It’s their car and their Fuel,yes, they can decide to help only a student..respect that!